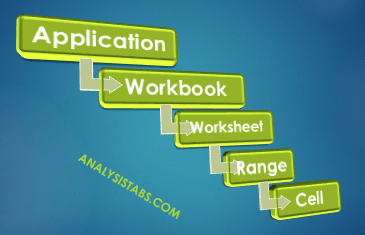 Excel VBA tutorials will help you to learn VBA from basics to advanced programming concepts. 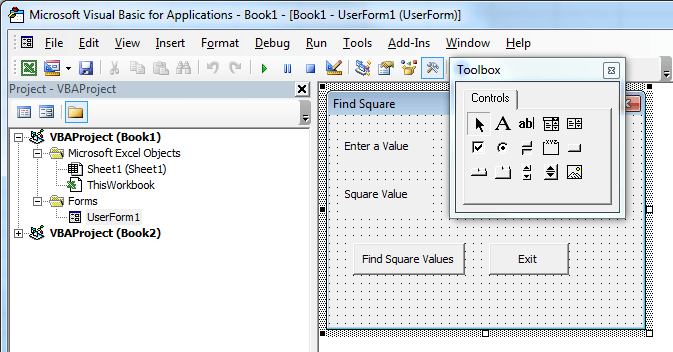 VBA stands for Visual Basic for Applications, a powerful programming available in the MS Office. You can start learning from this free tutorial based on your experience and expertise in VBA. If you are new to VBA, consider learning VBA from basics. You can skip the basic tutorials if you are already comfortable with basics. I have seen many of my friends wants to learn VBA because it saves lot of their time. They are starting learning VBA and they are discontinuing after few days. When I check with them, they are all finding VBA is difficult to learn. But the fact is they don’t have well organized materials to learn VBA and proper guidance to know where to start and which topics should cover first. Here are Excel VBA Tutorials From Basics to Advanced Levels to learn Excel VBA, a powerful macro language for automating MS Office Applications and to do many more things. Our easy to follow step by step learning path will guide you to help you in mastering the VBA programming. This section is for beginners with no knowledge of Excel Macros or VBA. 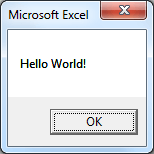 By end of this session you will understand the Excel VBA environment and you will be able to Record and Run a Macros. And can write and edit basic macros to accept the inputs from the user and show the popup messages. 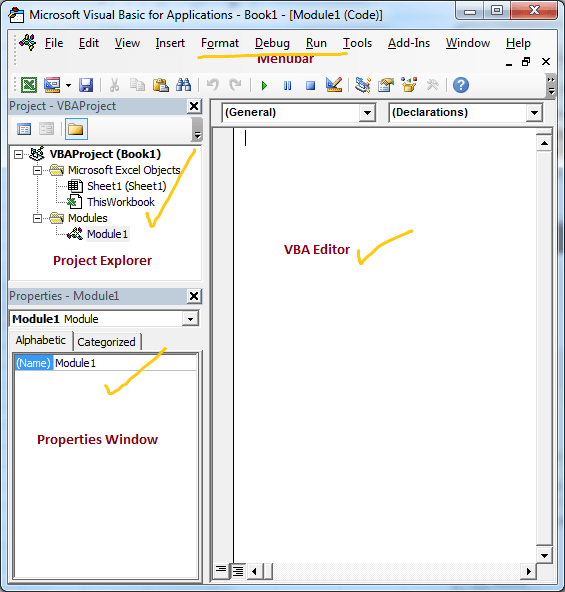 VBA is a programming language for MS Office Application, which stands for Visual Basic for Applications. It allows you to automate the task which you are doing manually and repeatedly. Most of the times, we do the same kind of tasks daily in our day to day work. 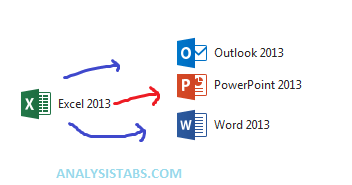 You can automate such king of tasks using VBA. In this session we will briefly discuss and see the different things which we are required to learn to Record Macros. 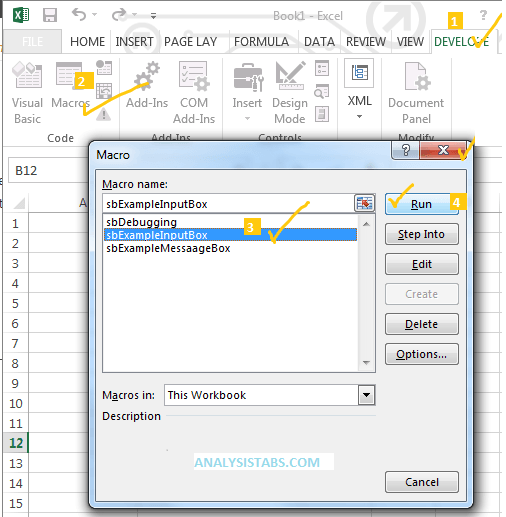 The idea of this tutorial is to help you to get overall idea about Excel Macros. And what are the different things which we are going to cover in part of learning basic macro tutorials. The Macro Recorder is a very useful tool available in Microsoft Excel. You can record a Macro if you want to automate any repetitive task. It help you to save the process time and avoid the human errors. In this section you will learn how to record a macro to automate repetitive task. We will see how to write simple “Hello World!” macro. 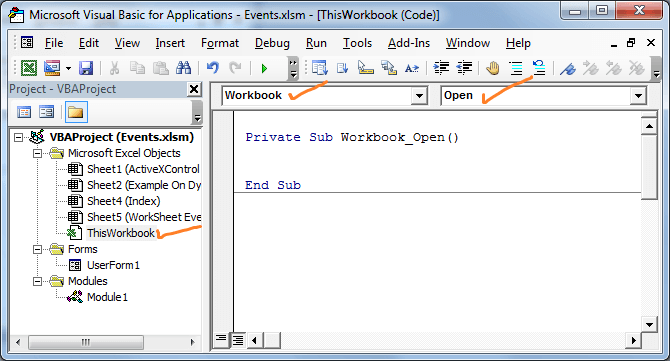 it is out first VBA Macro. When you are writing the program you may want to to test whether particular statement is working fine. 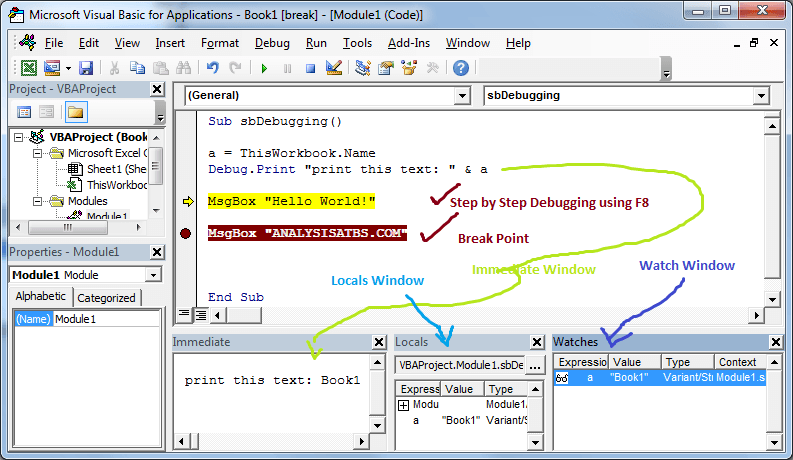 Debugging Code is the one of important task while writing programs in any computer language. It helps you in troubleshooting your code. The Macro Security is provided to secure your data or PC from others or from the malicious programs. It is important to understand the macro security if you are dealing with the Macro Enabled Files. It helps to protect your data from the malicious programs and helps to know how to run the macros when its required. In this section you will learn the VBA programming from the basics to write your own VBA programs like sub routines, functions to automate your daily tasks. By end of this session you will be able to write the procedures and functions to automate tasks and you will find significant time saving while working with your projects. Welcome to VBA programming tutorials, In this session we will see overall objective of this course and brief introduction of the topic required to learn VBA programming. You will feel more confident and why we are learning a particular topic and what are the things we can do by understanding each topic. 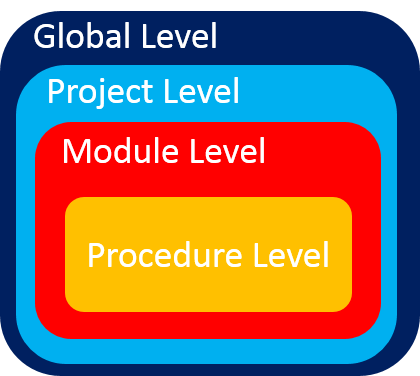 Understanding the VBA Object Model is important to deal with different Excel Objects. Objects are similar to the objects in real world. If you consider House is an object, it have several characteristics. Variables can store the information required to use in our programming. When we are working with data we deal with different type of data,so we need required different types of variables to store the data. In this session will discuss how to declare a variable and different types of variables available in VBA. We we are doing anything with one are more values is called an operation or task. To perform any operation we required minimum one symbol and one Variable or Value. 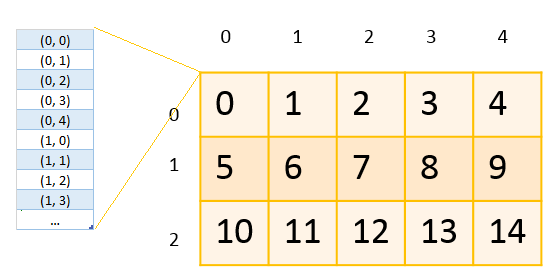 The symbol is called an Operator and the Variable or Value is called an Operand. Conditional statements are very useful in any programming, this will give you to perform comparisons to decide or loop through certain number of iterations based on a criteria. In this tutorial we will learn the conditional statements with examples. This section is for advanced programmers who are comfortable with the above concepts. In this section you will learn how to develop the Forms and interact with the other applications, handling the files and other advanced programming concepts. By end of this sessions you will be comfortable with VBA and be confident to develop the tools to automate complex tasks and complex Dashboards. Any Windows Application is equipped with set of objects called windows controls. The Main control is called a Form, it is the primary window contains different types of controls which allow user to interact with the computer. DO Stands for ActiveX Data Objects, is Microsoft’s Client-Server technology to access the data between Client and Server. ADO can’t access the data source directly, it will take help of OLE DB Provider to communicate with the data source. Most of the times OLE DB providers are specific to a particular Data Source Type. 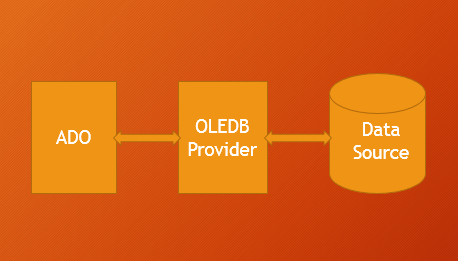 However, we have an OLE DB provider for ODBC, it is a general purpose provider with help of this ADO can access any Data source which can understand ODBC. Though I have been using Excel for quite some years, I have formal exposure to VBA until recently. In the last couple of months, I have gone through the tutorials available in some other websites and able to write some simple VBA codes. This site, just a couple of days before I found out, appears very interesting and I would like to study the tutorials authored by you. 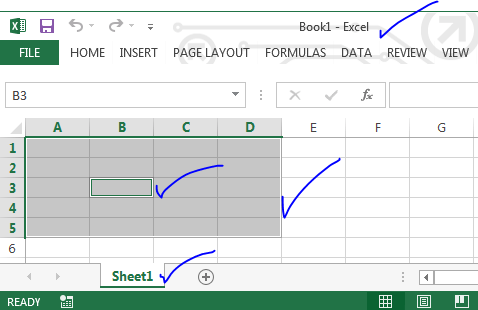 Before proceeding, I would like to whether any changes in the tutorials would be required for Excel 2013 wherein the interface has been totally changed. I am sure there might not be any changes in the VBA coding but I may face problems while handling ribbon interface. Please Clarify. Regards. It is very interesting to go through your tutorials on this site. I am a beginner as far as VBA is concerned although I have been using excel for more than a decade. What I would like to know is whether VBA is capable of handling all sorts of business problems programmatically as I hear there are plenty of limitations to it. Request your clarifications and advise. Many times I have registered for the VBA programming course which starts from 12th of December month, After submitting my email thought it says as message sent, But I don’t fine any email to my mailbox. Please suggest me how can I enroll to VBA programming turorial and how is the learning module. Excellent Tutorial, Thanks for the Author.